Mumbai, similar to Bangalore, has a significant number of NRI investments. These increased drastically as the city expanded. With properties belonging to absentee owners, arose the need for professional property management, and a few players sprung up. Besides PropertyAngel, the others to note who are serving this market are PropertyProctor, Azuro, Simplelease among others. Some management companies, like us - PropertyAngel - provide pure management services. We do not do sales or other commission based services. However, several companies in the city provide regular brokerage services alongside. Understanding this difference will help you gauge the level of professionalism in management, as well as focus that you can expect. Inventory management, which includes ensuring that the state of the property is completely accounted for when taking the property on from the owner, handing over to any tenant, exiting a tenant, or handing back to the owner. The property should be maintained in the same state, and the responsibility of this rests with the property manager. Tenant management: This includes finding a tenant, verifying their background, negotiating, managing their move-in, renewals, exits, and ensure they keep the property secure and well maintained. Accounting management - This includes deposit, rent collection, payments to vendors, associations, etc, creating a statement of account for every property and ensuring that all receipts and payments are documented. Some of the companies provide the entire gamut of services, where as several others provide primarily tenant placement services. It is important to understand what scope of services the company will provide before you shortlist one, and ensure that it matches with your expectations. Schedule of Payment: Some charge it as an EMI and ONLY when rent is received. This way the owner has no upfront cost and pays the charges on an ongoing basis only when the service is delivered. However, there are others who charge this as soon as the tenant is placed. The disadvantage is that you have paid the fee upfront even before most services can be delivered, but the advantage is that the rent will have no deductions. Amount of charges: Most companies will charge 30 days of rent, which is equal to 9% on a monthly basis. Some charge 30 days only for placing the tenant, and an additional management fee of 15 days of rent, which is equal to about 4.5% on a monthly basis. You should be able to gauge the level of responsibility when understanding the charges. If the company charges primarily for tenant placement, then they act as brokers and the level of professional management you will get will be less compared to a focused provider. However, if the company charges for an ongoing management, and you are looking for more than just a tenant, then this might be your best bet. For example, a good question to ask is who is responsible for collecting rent? If the company collects the rent, then they undertake the additional responsibility of following up with the tenant to ensure payment of the same. However, if they simply collect rent cheques and deposit the same in the owner's account, then who takes responsibility in case of a bounce? These are important questions to ask upfront. You would think and expect that for a property management service, the owner is the primary customer. In this case, a good question to ask is whether the company charges the tenant? If they do, then there is a conflict of interest. You want to work with a company that will protect your interest against all odds. 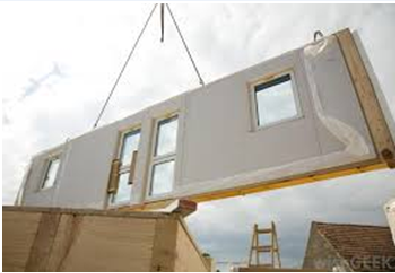 With Pre Fab, have a home, delivered home! They say that assembly line production really started with Henry Ford’s motor company. So effectively though arguably this pioneer invented the assembly line and suddenly cars, which in the 1890s to 1910 were affordable only by the mega rich, became available cheaply. Can the same happen with pre fabricated houses? There is a strong possibility yes. Pre fab houses are special dwelling types of prefabricated building, which are manufactured offsite. Reduction in cost for buyers because less of real human capital is expected to be used in laying out such housing. Take the case of a certain Mr Adiga who earlier missed a ‘target’ in life, such as getting a farmhouse by his 50th birthday. He mentioned this to his architect when prospecting a new home to which the reply was, “Okay, you just finish your week’s business trip to the Atlantic. I will have a house ready for you.” True to his word, the architect had a flawless house ready on Adiga’s return, plus a twenty year guarantee on leaks. To maintain a low budget, gypsum walls and roofing boards with window cut-outs were bought readymade from Cochin. Concrete filling made inside them ensured the house was burglary proof. Instead of spending about 20 lakhs on a steel and concrete construction, Adiga saved about 35 per cent! Technology available today can help nullify fungus and make it the material water proof. To give you a sense of firsts, the first pre fab house in India was built in Coimbatore. So it’s a practical solution that someone even in a relatively small town like Coimbatore saw fit and not necessarily an experimental idea of modernist thought from mega cities like Bengaluru, Mumbai, Delhi and Chennai. Manufactured homes (transportable sections) come under the umbrella of a pre fab home. While metros in India get ready for basic pre fab homes, remember that in western countries they are assuming lovely shapes and some are even getting ready in 3 to 5 days. In fact, just last month Amazon started home delivery of such tiny houses in the US. 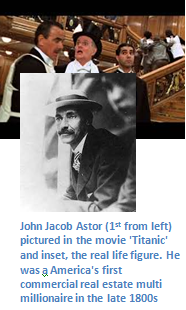 Remember one of the lines in the classic movie and true story ‘Titanic’ where the lead Kate Winslet introduces the runaway Leonard Decaprio to various tycoons in the first class section, “... and Jack, there’s John Jacob Aster, the richest man on the ship.” Well, John Jacob Aster was America’s first millionaire through commercial real estate in Manhattan. Commercial real estate has been a number 1 investment choice from the 1800s and has particular benefits in today’s dynamic marketplace. However, since 1800 the scope of commercial real estate has changed drastically! Today, in that segment you have not only office spaces, and shops, but also warehouses, malls, hotels and student housing, to name a few. The reason why commercial spaces are not as popular an investment as residential among retail investors, is that its not so much “in your face”. You don’t hear radio ads about commercial spaces, you don’t really see billboards or even Google ads about them, and you can guess why. The best investments are usually invested in by the world’s top and biggest investors. No one is trying to sell these to smaller investors. It’s an easy sell. While we all agree that a property has two gains i.e. appreciation and rental yields. Sure, residential property in Asia has higher appreciation but in terms of rental yields, commercial property scores much more at 10% versus the former’s 3%. Office space vacancies in places like Bengaluru are extremely low at 3% whereas rental yields are in the range 9-10%! Coupled with appreciation, this is an excellent buy! The recent e-commerce boom has resulted in a huge demand for warehouses. Moreover, with industries increasingly moving to an import model from low cost countries where labour is cheaper and more easily available, the demand for industrial warehouses goes up. Currently, the vacancy rate in industrial warehouses is only 4 to 6%, whereas shop buildings is 13%. The other two segments that are gaining traction are hospitality and student housing . Models like AirBnB and bachelor/student housing across the world, in today’s “sharing” economy, have created a lot of investment opportunities. So, as an investor, it might be worth your while to look beyond the obvious, and research and pick an investment that will give you the return you actually want. For a more detailed discussion on this, do drop us a line. We always love a friendly chat. So you thought, housing (read property investment) prices were going to go through the roof like everything in India has been relatively? Well, the present government has an eye on the future and have declared an affordable housing scheme. It’s called the Pradhan Mantri Awas Yojna which aims to provide shelter to all in India! This is a move towards builders therefore building more affordable housing. Anyway, while the ‘Aaam Admi’ has his eyes on these particular government plans, elsewhere too builders are realising that they need to harness the investment potential of the average and moderate middle income groups. Even the lower income groups are being taken into the ‘umbrella,’ a 4% interest rate rebate being offered for housing loans upto Rs 9 lakh and 3% for upto Rs. 12 lakh. Even developers are being offered incentives. Affordable housing has now been granted infrastructure status by the government, therefore developers can enjoy cheaper sources of funding, including external commercial borrowings. Such properties will also be allowed more completion time, thus raising completion from three years to five years. Sources of finance for borrowers (those wanting to buy) are also many, including state run banks, private banks and housing finance companies. So all in all, the picture looks very good for a prospective and needy buyer from the middle and low income groups who starts to see it as a seamless process of acquiring property. With the consistency in sales achieved, developers too are encouraged to build and fearlessly posit properties that they know will not be difficult to sell in the affordable housing categories. The Housing Finance Companies stand out quite well, who are offering housing schemes at 8.5 to 9 percent. Things are looking up even in terms of the percentage of finance buyers can avail, now standing at 85% percent of the housing units that are ready or nearing completion. The HFCs also pose a ready source for loans where otherwise the self employed, professionals or small businessmen would find it hard to get them from a traditional money lender. India’s urban population is growing at an average of 2.1 percent every year. By 2031, it will reach 60 crores (is today 37.7 crore). The government and in turn the developers have realised that 1.9 crore families have not bought homes due to the non affordability so far. Therefore they are doing the utmost for developers to embrace constructing affordable housing plans. Ninety-six percent of those buying are economically challenged groups. Therefore, developers will rush to implement feasible housing plans. In all this, there is scope for someone in one of the higher middle income groups to have options of property that earlier seemed ‘just out of commonsense economic range’ even if affordable. Now they will be less reluctant buyers. So, smell the coffee beans! Your dream investments are now going to be extremely affordable. Bengaluru is the new Mumbai! Hence we are very enthusiastic about real estate investment here. But why Bengaluru? For one, the developers are quite progressive. There is of course no doubt that the IT boom has contributed to this attractive real estate jungle. Plenty of ‘trees’ for shelter so just choose the right one and precious sap will emerge down the line. Okay that’s the attraction part. So, what makes Bengaluru sustainable for such investment? Well, it’s been noticed that people come here from all parts of India and don’t usually leave. The reasons – a genial culture, alternative job opportunities and a relatively healthy climate. Bengaluru is the new Mumbai, where everybody in the country believes they will find some work and prosper. Even runaway slum dweller children who in the mid 1960s chose Mumbai, are not found in Bengaluru by popular consensus. Bengaluru is the fifth most preferred destination in the world for setting up of innovation centres by, global multinational companies, according to one report. Apart from Apple, Visa and Airbus, Bengaluru saw 9 billion dollars being invested in start-ups. The sheer power of these brands, apart from of course the obvious need for leaders and employees to move in here will definitely play a role in its further booming real estate as has always been the case. What else drives this growth? The Metro rail network that’s slowly emerging is another sure fire cause. Properties in general and of course particularly proximal to metro stations will see a huge rise in their rates. Not something the old Bengalureans are accustomed to but they are getting there soon. Haven’t you see rental adverts in Europe and much of the developed western world that unfailingly mention their closeness to a ‘Tube’ (London Underground), MRT (Mass Rapid Transport) Station and similar such names. You’re definitely paying a higher rent to stay or live there. This will be a big boon for the appreciation of real estate. Even now, in anticipation of the networks to be build, appreciation has come for properties that are in the area. Further, there is also talk of a suburban rail, much like Mumbai, Kolkata and Chennai’s. This is truly a mass transit system for the economically lesser abled citizens who of course form a vital part of the task force. Sometimes, we don’t fully understand this. So it’s a good idea to share your thoughts with a professional property management company who will lead you to a good investment. Every think your investment can have the best of say a modern day cricket match with the best allowable global stars being a part of the investment? Then it’s time to play T20 in the property market. REIT may just be the new T20 where you merely have to be a spectator and allow the returns to unfold. So what is REIT? Well, it’s a Trust, like the kind you associate with wise people heading it and ensuring regular disbursement of cash for the institutional/individual, in this case you who is pooled in with other likeminded investors. We all know that it’d be naive not to invest in ‘property’ these days, whether the real land or in another form. It’s like gold. And remember times are achanging, so you’d be heading into the commercial space via a hand held process! It’s also a good idea to have a diversified portfolio in your investments, right? I mean, you can invest in multiple apartments (read our opinion at http://www.propertyangel.in/blog/retire-on-rent ) to get a good retirement rent. Likewise, you may have more energy but also want to try the different path – REITs. The ‘Trust’ you give your investment money to ensures yours and other investors pooled savings are jointly invested in offices, residential units, hotels, shopping centres, warehouses etc. Why would this huge Trust (think of it as a conglomerate) even think of pooling people’s money into a non private space like this? There’s obviously money to be had. And the profitability is huge. We know you can’t afford to invest in the whole of the shopping centre for example. So REIT’s merely pick the next best option, that of creating a community of you folks so your aggregate investments help ‘pick up’ the huge commercial property. Hey, a decade of two later you don’t want to look back and regret being conservative and realising you “lost money” because you didn’t maximize. It’s boom time now. You must of course realize that you are not going to be investing in actual property, something that’s been a lifetime’s priority for an Indian. However, it’s time to wake up and smell the coffee beans! Sentiment and old logic should not make you miss the bus. ​And spend your days on an exotic beach? Sounds too good to be true, eh? It need not be. It’s very possible to achieve this with the right strategy and planning. Let’s consider the event of “retirement”. There are 2 ways to “retire”, which is considered a time where we stop actively working to earn an income. This first way is to build up a corpus, so we can live on our savings. The challenge here is to know how much we may need, and for how many years we may live, especially given rising prices, medical costs, and longevity trends. The second option is to build up streams of passive income. Rental income is the surest form of passive income, where not only do the rental returns increase over time, your capital (property value) also increases, especially in a country like India. Its also one of the most safest forms of investment. Earlier, the stock market helped you retire. But you never really have full control of your investment. It’s often said “Try buying a stock below market value. It’s impossible.” Well, you can buy a stock that’s undervalued but not one below market value. With rental properties, you can buy the property below market value. You can choose what to repair, how to finance the property and you rent the home. You can hire a property manager to perform these tasks. In stock markets, you do not live off cash flow. You live off interest and appreciation your stocks have made for you over some years. When you start taking money out of your retirement accounts, you stop making as much money. On the topic of retirement, it is often said that if you have to die on stocks and shares you will have to estimate with retirement calculators. With rental properties, you do not have to guess when you die because cash flow comes every month. Even Robert Kiyosaki, a magnate who believes that people should buy ‘investment properties’ to earn monthly, as opposed to property to live in, believes that the key is multiple properties. He espouses ‘buying properties for nothing’ and using the power of equity to drive infinite returns. Literally it does not mean ‘nothing’ but of course at an abysmal cost. “For an apartment, look for one in an area where with good job growth,” says his partner Ken McElroy. Then identify operationally underperforming properties with value add ability. Once the value of the property gets increased, they refinance the property, pay back all the investors and redeploy the money into a new property. Effectively, they get the property for free because they are using equity from their other property to purchase it. Because of the increasing operating income of the previous property, they continue to realise cash flow. Did you hear about Bambi Mehta? The one who got that new job at Embassy Gold Links, and was all set to move into his brand new rented apartment on a sunny Saturday morning. When he landed up with all his shiny new furniture at his new apartment after paying his hefty 10 months of rent deposit (his hard earned savings, mind you), he was in for an interesting surprise. His landlord did not show. In fact, the landlord was not even in the country. In fact, as it turned out the landlord had never even received the deposit. Our friend, Bambi Mehta (name changed, of course), had paid the deposit to – eh, yes you guessed right - an imposter! Now, before we pass judgement on our friend, Bambi Mehta, let’s just consider whether we ourselves take these precautions when oh so excitedly moving into our brand new rented home! If they are a representative, please check for some official document authorising them to deal on the owner’s behalf. This is especially true if you are dealing with an individual or a small firm. Larger property management companies will check ownership when taking on a property under management (we always do), so when dealing with a reputed company, you can skip this step. It is in the interest of all parties to have a reasonable exit clause. At PropertyAngel, we consider 2 months reasonable. It gives the tenant sufficient time to find a new place, and for us to find a new tenant. We also give every tenant a freshly painted and professionally cleaned house, and expect that they return it in the same professional condition when they vacate. We make sure that all our clauses are transparent, and no one feels unfairly treated. However, if you are not dealing with a professional firm such as ours, please ensure that you check for such clauses, and ensure that they are present, mutual and fair. It is also in the interest of all parties to know EXACTLY how the property was passed from one to the next. At PropertyAngel we give the tenant a detailed inventory check that we ask them to sign. At exit, the tenant is not accountable for anything that was not mentioned in that form, or for anything that was damaged when they took the place. If you are not dealing with a professional firm, it is best you do this check yourself. Well, we hope our friend, Bambi Mehta was able to recover his deposit and find a new house! Like they say, “Learning from your mistakes is smart. Learning from other’s mistakes is wise.” Happy wise-house hunting to you! ​As with the General Services Tax (GST), which needlessly put fear into consumers about rising prices, RERA, the Real Estate Regulation Act, currently tending to slow purchases of property, will actually be a boon. But you needn’t slow down buying and lose out. Well, RERA can actually be considered a process and not an ultimatum. Think of it. For example, even real estate agents have to register under it. Only then will they be authorised to continue in their business. Shouldn’t that make you feel safe? Hang on, we’ll talk you through it more. But just imagine the broad and all encompassing idea of this Act. It’s like the putting the scoreboard operator at the cricket stadium through a qualification and registration process when you go there to watch your Virat Kohli slam bang show! Your protection as a consumer is foremost, therefore even a relatively straightforward job of an intermediary’s is not taken for granted. Needless to say all other actors have to fall in line. Well, of course, developers themselves and well, even states have to fall in line and register themselves. Gen Y would ask you to take a chill pill and go about your task of scouting your favourite property, but paying attention to some basic facts – check out on the developer’s website if they are pursing RERA compliance. Non RERA compliant developers will cease to be in the market and their projects will be absorbed by bigger ones who will in fact be RERA compliant. Don’t let waiting for favourable market conditions slow you down. The cleanup in the market will inadvertently happen through RERA. Look for properties which are in advanced stages of completion, if not complete yet. Of course, for newbies, note that the oracle called RERA will among other benefits, ensure that construction delay is not caused, show track records of developers on its own website, aside from details of litigations, advertisements and prospectus issued about the project and registered agents and consultants. There will be no sale without the property being registered with RERA, no registrations without approvals and no pre-launches. All advertising material will need to be registered, all registration will be on carpet area and not super built up area. With 70% sale proceeds needing to go to Escrow (preventing fund diversion), huge penalties and imprisonments for violations and if defaulting, builders needing to return all the money invested or a monthly interest till delivery, RERA sure is taking care of all of us.